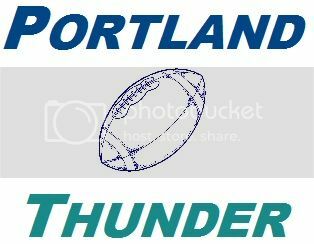 After five weeks of considering names for the new Arena Football League team in Portland, the team announced this morning that it has selected Thunder as the team's moniker. A naming contest was held through the team's facebook page and last week five finalists were announced. According to team officials the Thunder can now work on the logo, then produce merchandise for the team and its fans. Personally speaking, I would have been all right had they made any one of the final selections (perhaps with the exception of Growlers). A rose by any other name would smell just as sweet, right? Thunder is a little generic maybe but it is also universal. in 1975 there was even a football team by that name. In Portland. That's right, in Portland. It was a team in the short-lived World Football League. The team which started the year before as the Portland Storm and made the name change for it's second and what turned out to be final season. So there is some history there with the Thunder in Portland. The team's announcement on facebook did not come without scrutiny. At this writing there are over 350 comments and many of them seem quite negative. It is difficult to say how many individual people were posting since many of them posted several times. The basic two problems the naysayers cited were that the name did not have anything to do with the region and that Thunder is already used by the NBA's Oklahoma City franchise. Fine, we do not get much thunder in Oregon. Also fine, we won't be the only team with Thunder as it's name. This is nitpicking if you ask me. Thunder is a great name for an AFL team where most of the team names are both out there and a little generic at the same time. We should be thankful that the name isn't self serving like the Los Angeles KISS which is owned by the band KISS. That seriously reminds me of the original owner of Charlotte's NBA team Bob Johnson naming the team the Bobcats (thank you to our Bobcats friends for telling us about that!). My point is there could have been many worse names for the team. My feeling is that the name will grow on most of those skeptical fans and the rest will either learn to live with it or get tired of complaining. My stance on this has not changed. I am happy that there is a professional football team in my hometown. Portland is a large enough media market that we should be making strides such as adding the Timbers, the Thorns and now the Thunder. And how about that? We have alliteration with our sports teams names as over the past three years those three have joined the Trail Blazers as the representatives of professional Portland sports teams. I think Thunder will work out just fine for Portland. 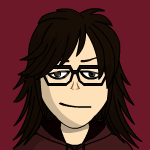 great take on it, Angi! i had wanted Lumberjacks, but it was not to be. i'm more worried about how the team plays on the field than the name anyway. There might have been better names out there, but I have no problem with the name Thunder. We get some Thunder in Oregon so it's not that bad. I don't think it matters that a basketball team has it. It would take a real moron to confuse the two of them. Kasey, I liked Lumberjacks too. It is too bad others did not listen to us! It is really sad that there are a few people still making a big deal about this. Like it or not the team has been named. I am excited to see the new logo. They told us they hoped to have it done and have some merchandise ready by Christmas.